BRAND NEW, MOVE IN READY. 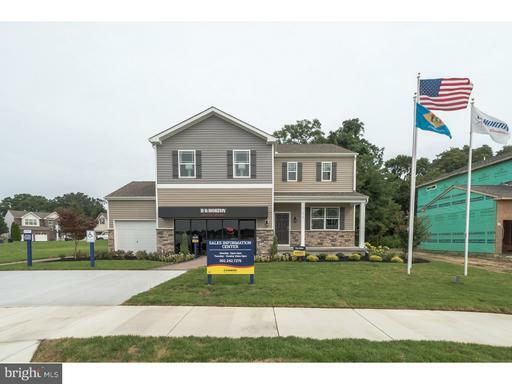 Two story home in Magnolia close to route 1 and route 13 which allows easy access to Delaware and Maryland beaches as well as Dover Air Force Base. This 2,340 square foot home offers four spacious bedrooms, two full bathrooms, a first floor half bathroom, as well as a first floor flex room. The open kitchen layout overlooks the living and dining room. Interior features include upgraded Valmont throughout the main areas, Stainless Steel Gas Appliances, Upgraded White Cabinets, Uba Tuba Granite Countertops. Enjoy additional features such as the 2-Car Garage, Fireplace, Unfinished Basement, and Ceiling Fan Rough-Ins and Cable Outlets in all bedrooms and Living/Great Rooms. REALTORS WARMLY WELCOMED.